Take your gaming experience to the next level, with the Dell G3 15 Gaming Laptop. 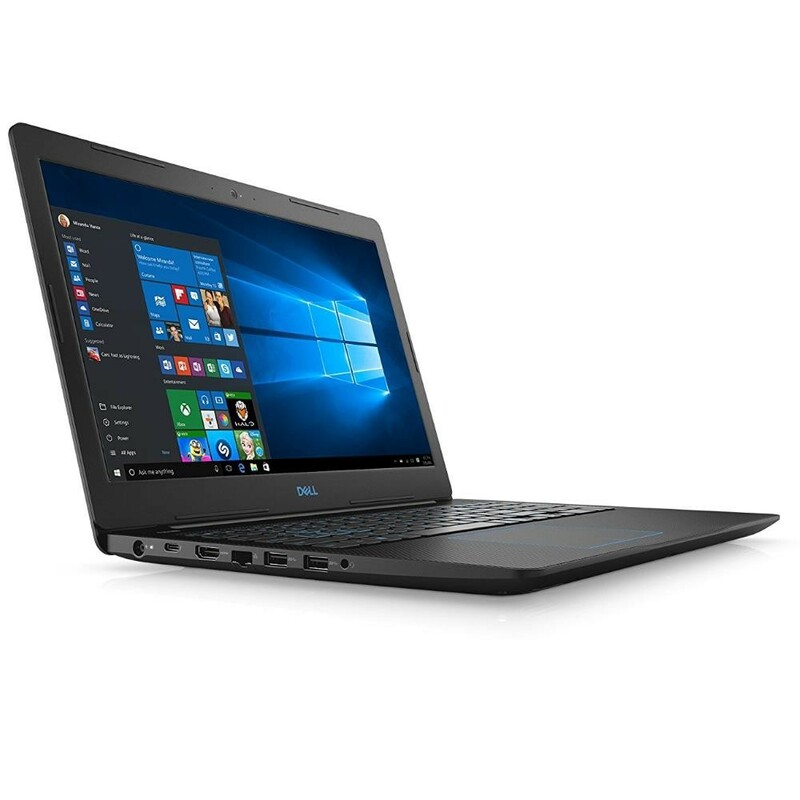 This Dell laptop runs on a powerful and fast Intel Core i7-8750H processor. Enjoy lag-free gaming, thanks to the dedicated NVIDIA graphics card of this Dell laptop. The 16GB RAM allows you to multitask effortlessly and quickly. The Dell G3 features smarter and faster Windows 10 operating system. Store significant amount of data at one location, with the 1TB HDD. Also, the 256GB SSD keeps you in-game experience smooth and fast. Enjoy gaming for hours, without the need for charging, thanks to the 56WHr battery. The 15.6inch FHD display renders high-quality images and facilitates wide angle viewing. The slimline design allows you to carry this Dell gaming laptop, with ease. The black color lends it a classic look. Furthermore, the SmartByte technology facilitates seamless streaming, by prioritizing visual content. The two Waves MaxxAudio Pro front-firing speakers provide you with an unmatched sound experience. thanks to the WASD blue backlit keyboard.